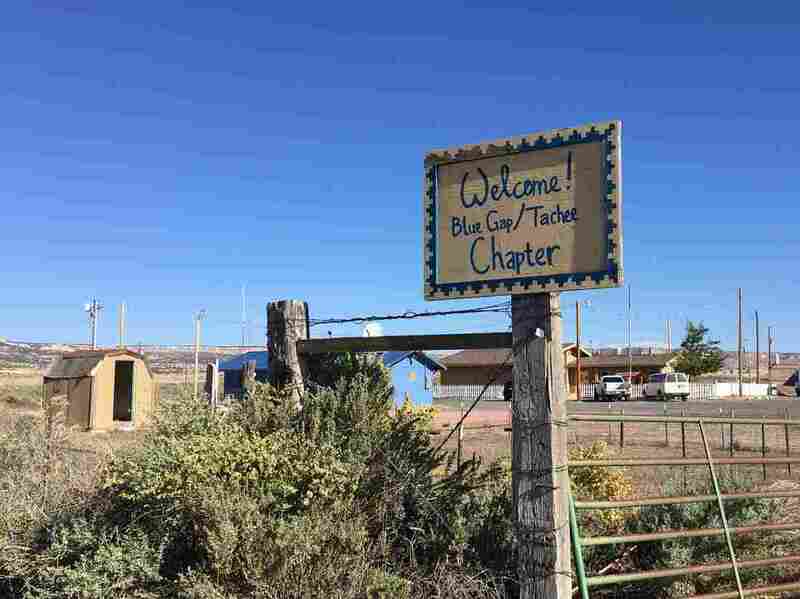 Discrimination Against Native Americans Sometimes Means Uranium Poisoning : Shots - Health News In the Navajo Nation, waste from old uranium mines has proved to be an insidious health hazard. Even spring water has become radioactive. Many people who live in the Blue Gap-Tachee Chapter in northeastern Arizona remember when mining companies blasted uranium out of the Claim 28 site near their homes. Dust from mine explosions coated everything. Helen Nez had 10 children. Now she only has three. Seven of her children died of a disorder called Navajo neuropathy, which is linked to uranium contamination. "Many people died and some have liver disease, kidney disease and some suffer from cancer as a result," Nez said through a translator. When she was pregnant, Nez and her children drank from a spring, located on Navajo Nation in northeastern Arizona, with uranium levels at least five times greater than safe drinking water standards, according to a study published in the journal Environmental Science & Technology in 2015. Four of her children died as toddlers. Three died in early adulthood. Their stomachs became bloated, and their eyes turned a cloudy gray. The three remaining children, now adults, have health problems. "It is worrisome and troublesome, and you hope that something will be done," Nez said. Helen Nez, shown with Blue Gap Chapter President Aaron Yazzie, has lost seven of her 10 children to a disorder called Navajo neuropathy, which is linked to uranium contamination. In a new poll by NPR, the Robert Wood Johnson Foundation and the Harvard T.H. Chan School of Public Health, more than 1 in 4 Native Americans say the quality of their drinking water is worse than in other places. From 1944 to 1986, mining companies blasted 30 million tons of uranium out of Navajo land. When the U.S. Energy Department had stockpiled enough for the Cold War, the companies left, abandoning 521 mines. Since then, many Navajo have died of conditions linked to contamination. 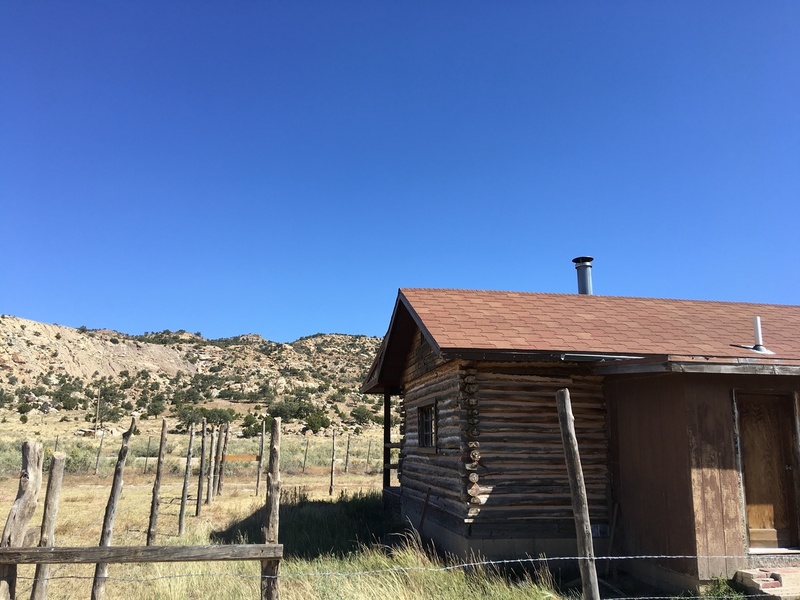 Nez's sister Sadie Bill drives out to an abandoned uranium mine called Claim 28. Along the way, she points to the site of her neighbor's home that was so contaminated it had to be hauled away. "She passed on about 2 1/2 years ago," Bill said. "And this one over here, she was on dialysis. And she passed on, oh, eight, nine months ago." This mesa is all that is left of the Claim 28 mine in northeastern Arizona. Scientists say the springs where many people drank have uranium levels at least five times greater than of safe drinking water standards. "People on the outside world say, 'What's wrong with you? Get out of there. Move!' " said Chris Shuey, the director of uranium impact assessment at Southwest Research and Information Center. "That's not economically or culturally feasible. People have been captive to these exposures now for three generations." 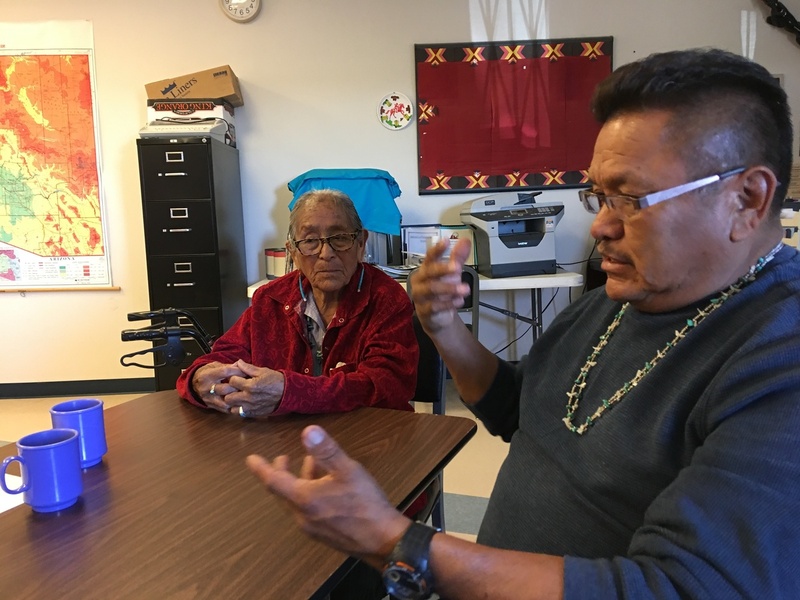 Shuey, an environmental health scientist, has been studying the impacts of uranium mining on the Navajo people for almost four decades. He points out that Navajos are connected by tradition to the land. When a Navajo baby is born, the umbilical cord is buried in the ground, tying them to that place forever. The community and many others like it want to know why it's taking the federal government so long to clean up the abandoned mines. In the NPR poll, 39 percent of Native Americans say discrimination based in laws and government policies is a bigger problem than discrimination based on individuals' prejudice. "The slow pace of cleanup is directly related to the law, itself," Shuey said. "The law places more importance on the relationship between EPA and the companies that caused the problem than it creates a right of sitting at the table of the local affected community. And so on Navajo, that is institutional racism." In this case, Shuey said the policies of the Energy Department, the Environmental Protection Agency and the tribe have hurt the Navajo people. Of the 521 abandoned mines, the EPA has only cleaned up nine so far. And Shuey says cleanup presents a lot of challenges. "There's not a lot of places to take this stuff to," Shuey said. "You invariably put it in somebody else's backyard." The EPA said in a statement that the federal government has reached settlements valued at $1.7 billion with mining companies — enough to clean up about 40 percent of the abandoned mines. 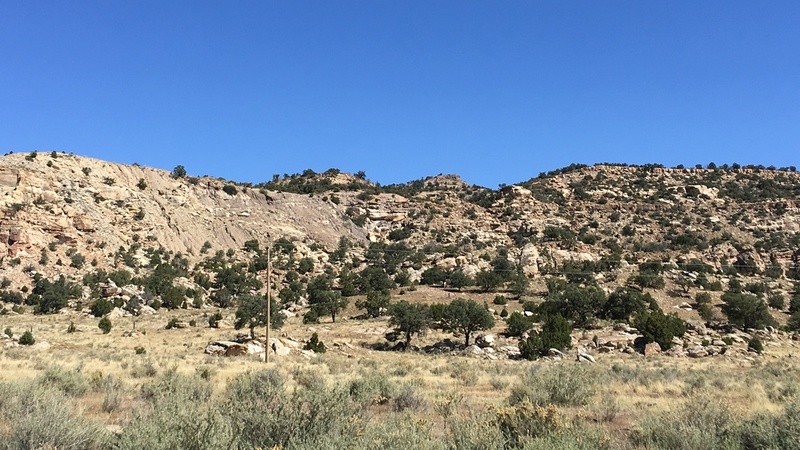 "The EPA is really caught between a rock and a hard place," said University of New Mexico toxicologist Matt Campen, who is studying the air quality surrounding abandoned mines. "They get attacked by both advocacy groups for not doing enough and by industry for doing too much." Sadie Bill's cabin sits at the base of Claim 28. She no longer lives there because of concerns about uranium contamination. Campen said it comes down to allocation of resources and authority to get things done. A Navajo group is currently evaluating the cost to remediate the mine near Helen Nez and her sister Sadie Bill's home. "We lost too many people," Bill said. "We don't want our future young people to have to go through this again." At the current rate, it would take multiple generations for the Navajo to be free of uranium contamination. For this family and for many others though, it's already too late. Our ongoing series, "You, Me and Them: Experiencing Discrimination in America" is based in part on a poll by NPR, the Robert Wood Johnson Foundation and the Harvard T.H. Chan School of Public Health. We have previously released results for African-Americans, Latinos and whites so far. In coming weeks, we will release results for LGBTQ adults, Asian-Americans and women.